Come and see our product highlights at the ECOC 2016! 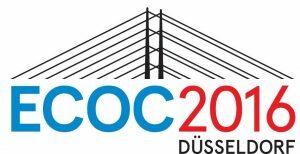 From September, 19th to 21th we are exhibiting at the ECOC in Düsseldorf, Germany. You will find us in the German Pavilion (booth number 350). We would be happy if you stop by.